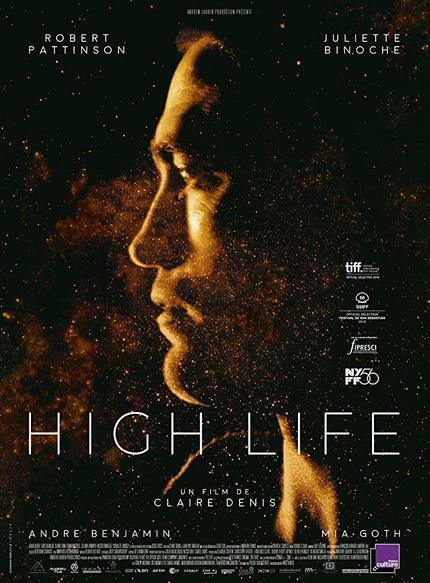 In Claire Denis' High Life, a group of criminals accept a mission in space to become the subjects of a human reproduction experiment. Things go from complicated to worse to hallucinogenic when a storm of cosmic rays hit their ship. Wild Bunch has released the first trailer for Denis' (White Material) latest outing and the film is already sparking divisive debate following an early screening at TIFF. Based on the first footage here, it seems like High Life will be a slow-burning and thought-provoking science fiction film for those with a tolerance for artsy space movies bordering on the incomprehensible (also see Marc Caro's Dante 01). Beside Robert Pattinson, the cast includes Juliette Binoche, André Benjamin, Mia Goth, Lars Eidinger, Agata Buzek, and Claire Tran. Check out the French trailer for High Life below.